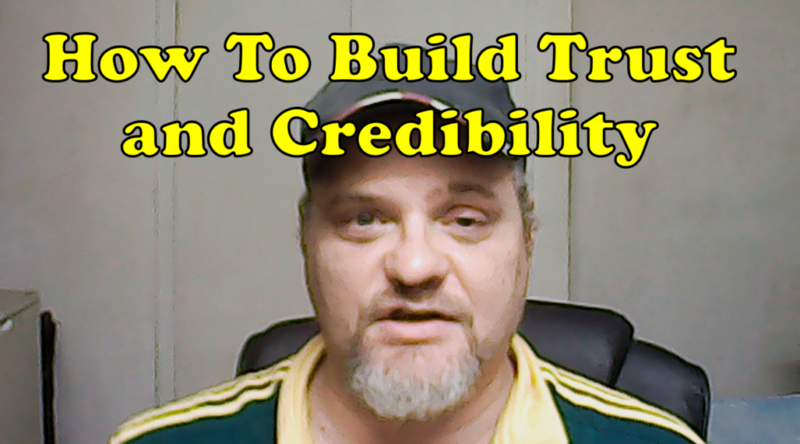 If you want to know how to build trust and credibility I'm going to show you how, not only if you are running your own business but also if you are starting out. Trust and credibility is the glue that keeps a business running for ever. If you don't have it you may survive for a while but time will not be on your side. The reason you need credibility and trust is because at the end of the day. People will only listen to people they know like and trust. If they don't it really doesn't matter how great your product is they will not buy it. Ultimately because they are not buying you. Now before you say “But how can I be credible if I have not been successful” I want you to understand that credibility and trust has NOTHING to do with how much money you have. It's about how much integrity you have. If you are a dishonest person and you play to that. You will not be able to have any form of success for a long time. It WILL run out. A long time ago I worked for a guy who was a con artist. I was very young at the time and I was so impressed by his promises and knowledge. Every day I was with “my boss” I was told i would be getting my own company car, a place of my own and that I would run his whole operation. We even went on a radio station and promised computers to kids for two schools. There was crying and so many happy faces. Well as the weeks went on I found that he NEVER kept his word, he was always late and basically dishonest. His stories would always change and at the end of they day I was Trusting him less and less. Until finally I left and reported him to the police. He was also involved in criminal activities which I found out later. He never was convicted and disappeared. Even to this day if I would see him, all I would remember was his dishonesty. I would NEVER buy anything from him no matter what it was. It wouldn't matter if that product was the best. The simple association of him would turn me off. That's what a lack of trust does to companies and why they go down.